The ups and downs of a big-time writer. In a life that spanned nearly six decades, Truman Capote wrote stories that remain reliably in print. The short story “A Christmas Memory” is a yuletide classic, and his popular novel, Breakfast at Tiffany’s, is a touchstone for young, restless souls trying to make it on their own in the big city. Capote’s true-crime narrative, In Cold Blood, became a blockbuster movie and a standard-bearer of a new literary genre, the “nonfiction novel.” But after he died in 1984, a month before his sixtieth birthday, Capote’s writings weren’t the first thing that conservative columnist William F. Buckley Jr. thought about. Buckley instead recalled a 1976 visit to the set of Neil Simon’s campy mystery movie, Murder by Death, which featured Capote as homicide victim Lionel Twain. The plot, in which many wanted the worst for Twain, seemed a wry case of art imitating life. Buckley was oddly prescient in focusing on Capote as a creature of film, since more than three decades after his death, the controversial author has become known to younger Americans primarily through two biopics, Capote in 2005 and Infamous in 2006. Those productions, which featured Philip Seymour Hoffman and Toby Jones in spot-on portrayals of Capote, evoked the man those of an earlier generation immediately recognized as a bon vivant of the Gotham social scene and network TV talk-show circuit. Capote’s constant presence on the national stage in the 1960s and 1970s was vivid and unforgettable. Talk-show hosts courted Capote because he was a gifted storyteller who could be counted on to say something provocative. When he wasn’t chatting about his favorite subject, himself, Capote took guilty pleasure in cutting everyone else down to size. “Did I read somewhere that you said all actors are stupid?” TV personality Dinah Shore once asked him. Grobel’s interviews, collected in Conversations with Capote, affirm the author’s notion that talk, properly shaped, could be a form of theater. There are anecdotes on every page. Capote talks of boyhood adventures catching carp with his bare hands. “I used to reach down and pick them up,” he tells Grobel. “They were like kittens to me.” He recalls Elvis Presley giving him a dinner party, “the only dinner party I’ve ever heard of his giving, in Las Vegas.” And he recounts being held at bay for three hours by a pack of Doberman pinschers while visiting philanthropist Doris Duke. Capote’s reputation as an off-the-cuff raconteur was, in reality, the result of careful rehearsal. According to Plimpton, he would work up a list of the stories he planned to tell before he visited admirers. “He really worked at entertaining them,” Plimpton said. The Capote depicted on the big screen, a variation of the talk-show guest who endures in a lively half-life on YouTube, invites us to regard him first and foremost as a character—a carefully constructed image that seems more mask than man. 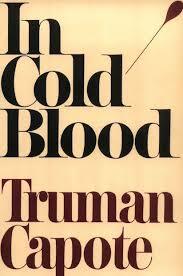 But beyond his position as a pop-culture oddity, what about the writing that Capote left behind? His most obvious claim on posterity is In Cold Blood, his 1966 book about the 1959 murder of a Kansas farm family, the Clutters, and the arrest, conviction, and execution of the culprits, Richard Hickock and Perry Edward Smith. 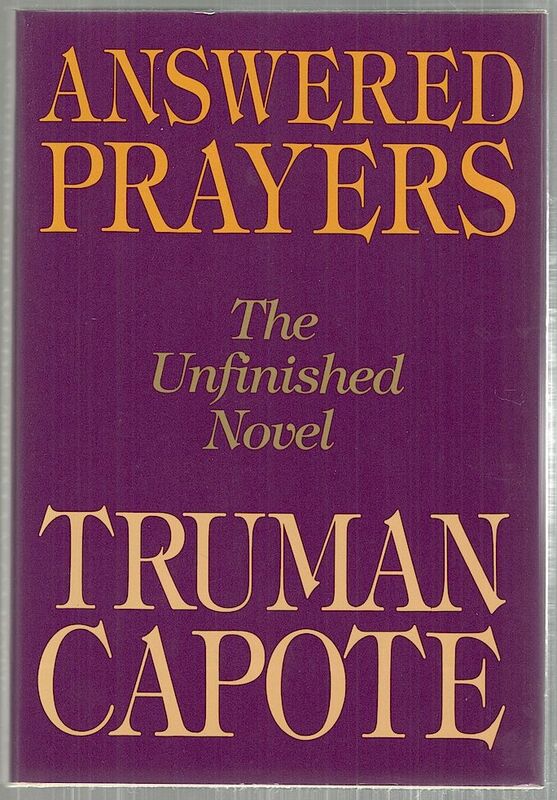 Although Capote promoted the book as “immaculately factual,” revelations in recent years have called that claim into question. 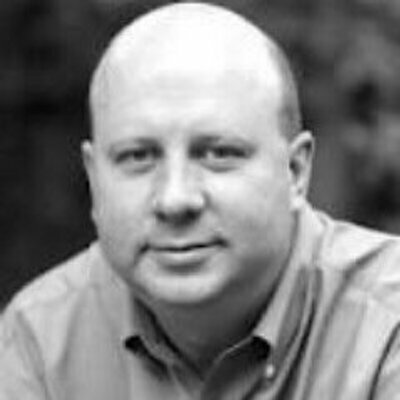 In 2013, Wall Street Journal writer Kevin Helliker published evidence that Capote distorted a chronology of the police investigation to burnish the reputation of Kansas lawman Alvin Dewey Jr., who had given Capote unprecedented access as the case unfolded. In a follow-up story published earlier this year, Helliker reported that Capote had failed to mention Hickock’s idea to write his own book about the murders—a plan that Capote apparently schemed to thwart in order to prevent any competition for In Cold Blood. Other writers have uncovered other discrepancies. In accepting an approximation of accuracy as good enough, Capote was already on the slippery slope that ended, perhaps inevitably, in the kind of lapses that now mar In Cold Blood’s reputation. A month passed, and another, and it snowed some part of almost every day. Snow whitened the wheat-tawny countryside, heaped the streets of the town, hushed them. The topmost branches of a snow-laden elm touched the window of the ladies’ cell. Squirrels lived in the tree, and, after weeks of tempting them with leftover breakfast scraps, Perry lured one off a branch onto the window sill and through the bars. It was a male squirrel, with auburn fur. He named it Red, and Red soon settled down, apparently content to share his friend’s captivity. How did such a fly-on-the-wall perspective emerge from a writer whose colorful public life so often placed him in the foreground? Some clues rest within Capote’s “A Christmas Memory,” a poetically poignant holiday story based on his childhood in the Depression-era South and first published in 1956. To keep a truce with everyone else, Sook and her young charge skirt the edges of daily domestic life—making cheerful conspiracies in corner rooms, hunting for homely treasures in the woods, indulging hushed conversations while the rest of the clan sleeps. It was here, quite possibly, that Capote developed the skills of sublimation that allowed him to blend into the background and conduct his reporting. His sense of living at the margins was surely compounded in later years by being gay at a time when homosexuality was taboo. “A Christmas Memory” also aptly expresses Capote’s signature literary style. Joanne Carson, his longtime friend who was with him at the end of his life, said Capote claimed that the story was his most perfect work. Here, there, a flash, a flutter, an ecstasy of shrillings remind us that not all the birds have flown south. Always, the path unwinds through lemony sun pools and pitch-black vine tunnels. Another creek to cross: a disturbed armada of speckled trout froths the water round us, and frogs the size of plates practice belly flops; beaver workmen are building a dam. On the farther shore, Queenie shakes herself and trembles. My friend shivers, too: not with cold but enthusiasm. One of her hat’s ragged roses sheds a petal as she lifts her head and inhales the pine-heavy air. “We’re almost there; can you smell it, Buddy?” she says, as though we were approaching an ocean. 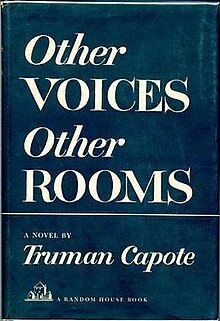 Capote’s lushly descriptive prose has been compared to that of his Southern contemporaries: Eudora Welty, Carson McCullers, and Harper Lee. In one of the strangest coincidences in American letters, Capote grew up with Lee in Monroeville, the tiny community producing two celebrated writers. Like the works of all three women, his writing has a keen sense of the tragic and the transitory and is alert to capture the moment, in lapidary detail, before it fades from view. Capote’s life conditioned him to the idea that nothing treasured can be expected to last. His happiness with Sook ended in separation when his mother, newly married to wealthy businessman Joseph Capote, reclaimed Truman, who took his stepfather’s last name. Relocated to the East Coast, Capote was now at the doorstep of a Manhattan literary scene that he would, as he grew to manhood, come to dominate. His first novel, Other Voices, Other Rooms, published in 1948, established him as a rising star. In 1956, he published The Muses Are Heard, a book-length account of a trip he took with a traveling American production of Porgy and Bess in the Soviet Union. The project helped him hone techniques he would use in In Cold Blood, which made him a sensation. On November 28, 1966, to celebrate the book’s reception, Capote hosted the Black and White Ball—a huge, formal party at New York’s Plaza Hotel that evolved into a cultural spectacle. The guest list, 540 names in all, constituted the era’s “in” crowd, including the Kennedy clan, Cecil Beaton, James Baldwin, Greta Garbo, Christopher Isherwood, Janet Flanner, Gloria Steinem, Andy Warhol, and, of course, Buckley. Capote, the once lonely child from a hardscrabble hamlet, was now the ultimate arbiter of Manhattan society. Not everyone greeted the ball with enthusiasm. Columnist Drew Pearson, voicing a sentiment shared by a number of other commentators, questioned the taste of throwing a party to toast a book based on the terrible suffering of the Clutter family. The over-the-top affair seemed to define the excess that, in his final years, would seal Capote’s fate. 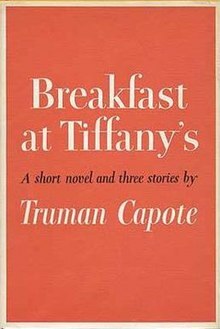 Like a darker variation on the characters in Breakfast at Tiffany’s, Capote seemed caught between a spirit of indulgence and the yearning for something deeper. He abused drugs and alcohol, sometimes appearing inebriated in public. In publicizing personal confidences for material, he lost many of his friends. His relationship with Jack Dunphy, his companion of many years, suffered. 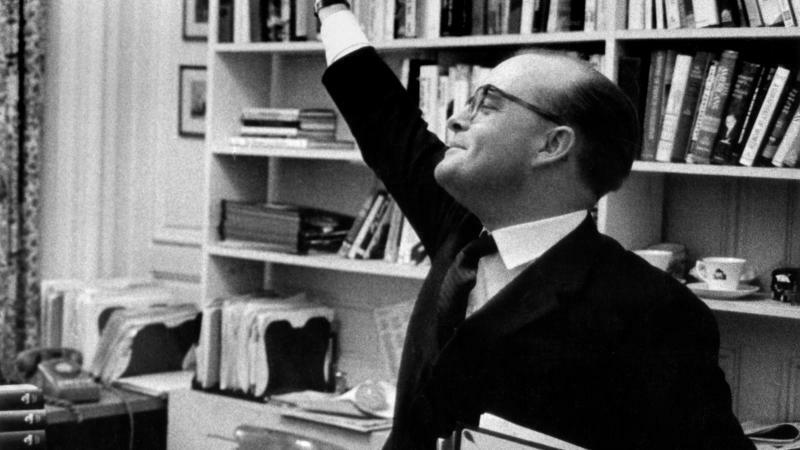 He had long lambasted California as a cultural wasteland, but “in an irony he might have appreciated, it was there that Truman Capote died, probably of a drug overdose, on August 25, 1984,” Clarke writes. With the passage of time, Capote the personality has faded, making it easier to assess Capote the creative artist. Despite revelations about its flaws, In Cold Blood is still widely read, in no small measure because it transformed true-crime narrative from pulp fiction into a respectable literary genre. In popularizing homicides from the headlines into commodities for cultural consumption, Capote paved the way, for better or worse, for prime-time staples like Dateline and 48 Hours. Throughout his work, Capote’s prose itself remains a joy, its precision wrought from an urgency to pay attention before it’s too late. It shimmers insistently, even in less celebrated books such as The Dogs Bark, which assembles his celebrity profiles and travelog. Whether he’s writing about Christmas or murder, Hollywood stars or exotic locales, Capote’s sentences resonate with the reality that life is short. Originally published to the public domain by Humanities, the Magazine of the NEH 38:3 (Summer 2017). This entry was posted in Uncategorized and tagged History, Literature, Truman Capote. Bookmark the permalink.